Cross-over accidents may be the scariest of all motor vehicle accidents. Talk to a Lawyer for Free 24/7 at (314) 361-4242! When a motor vehicle crosses the center line and hits an oncoming vehicle, the impact is usually very high because of the combined speed of the vehicles involved in the crash. Serious injury can result from this type of car accident, leading to difficult financial and medical hardships. 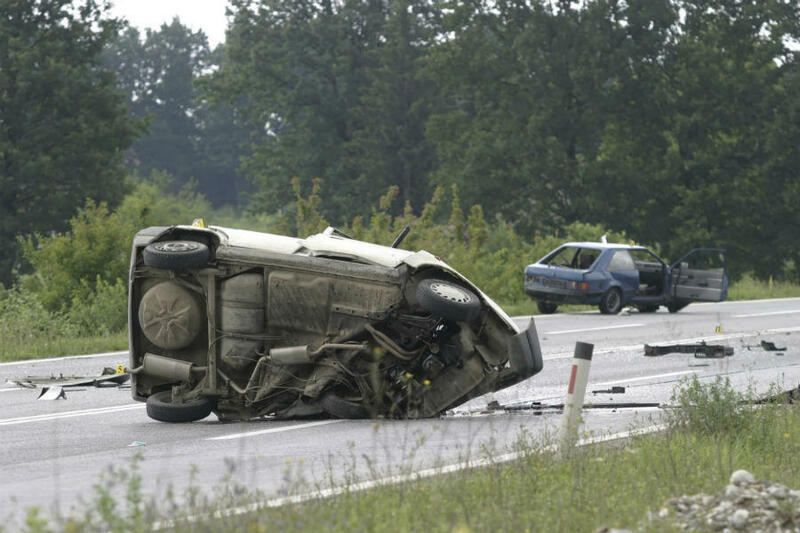 A St. Louis car accident attorney may be needed to recover compensation. In the case of a rear-end crash, the target vehicle is usually stationary and the hitting vehicle is moving at a certain speed at which it was moving just before the collision occurred. The force or impact of the collision is determined by the speed at which the impacting vehicle was moving. For example, if the vehicle was moving at 20 miles per hour before the collision, then that is the force of the impact. When two motor vehicles collide head-on, both the vehicles are moving directly towards one another and the impact force depends on the combined speed of both the vehicles. For example, in case both vehicles are moving at 20 miles per hour, the impact force would be based on the combined speed. Even though a vehicle traveling at 20 miles per hour may not seem like fast speed, the speed is significant enough to cause considerable injury and damage. The likelihood of an injury also depends on the manner in which the collision occurs. When a head-on collision occurs, the vehicles do not always hit each other center point to center point; however, only the front part of the cars is involved in the collision. In a cross-over accident, the driver’s side of the vehicle is hit by the driver’s side of another vehicle; this is the side most closely located to the center line of the freeway or roadway. Both drivers have the highest risk of injury because the resultant force is focused on the section occupied by the driver. In a cross-over accident, it can be a straightforward matter to determine fault. When a vehicle crosses out of its lane of travel, crosses the center line, and strikes another vehicle traveling in its own lane of travel, the hitting vehicle is generally at fault. Our St. Louis car accident lawyer informs us that in the case of cross-over accidents, the courts consider it to be negligence per se, which means there is no need for any proof of fault to determine the crossing driver’s fault. Proving the claim in a cross-over accident is fairly simple unless the party at fault furnishes reasons as to why the driver was negligent. For example, if the driver crossed the center line inadvertently because of the sudden onset of a medical condition, or did so in response to another unavoidable condition, it may affect liability. If you have been a victim of a cross-over accident caused by a negligent driver, contact The Hoffmann Law Firm, L.L.C. at (314) 361-4242.